Acting on complaints by consumers alleging unwarranted levying of service charge on food bills by hotels and restaurants, the Department of Consumer Affairs has issued an advisory to state governments to sensitise those in the industry about statutory provisions governing the levy of service charge and to keep consumers informed through information displays in appropriate places. In a written reply to a question in the Lok Sabha on Tuesday, Minister of State for Consumer Affairs, Food & Public Distribution CR Chaudhary said the department has issued an advisory to the state governments to sensitise companies, hotels and restaurants regarding the provisions of the Consumer Protection Act, 1986, on unfair trade practices. He further added that states were urged to advise the hotels/restaurants to disseminate information through display at the appropriate place in the hotels/restaurants that 'service charges’ are discretionary/ voluntary and a consumer, dissatisfied with the services, can have it waived off. 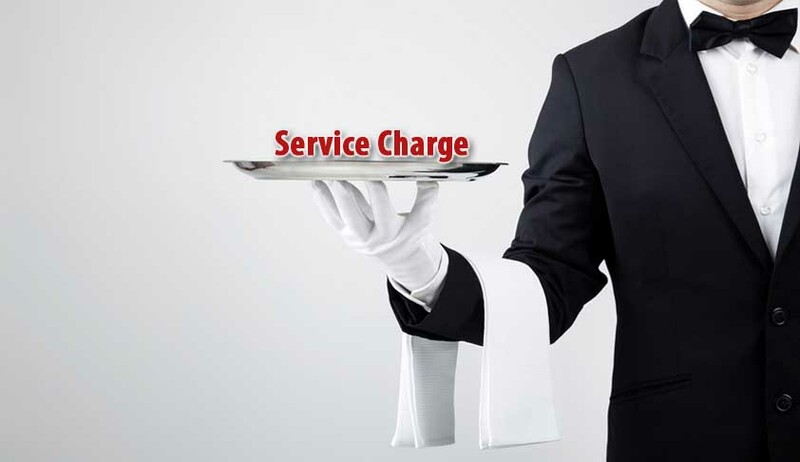 He said the government had received a number of complaints from consumers through the National Consumer Helpline, alleging that some hotels and restaurants have been charging excessive amounts ranging up to 5-20 per cent on the bills of food and beverages in lieu of tips, which a consumer is forced to pay, irrespective of the kind of service provided to him. The government issued the advisory post examining the matter. Elaborating on the provision in the Consumer Protection Act, 1986, he stated that the statute provides that a trade practice, which for the purpose of promoting the sale, use or the supply of any goods or for the provision of any service, adopts any unfair method or deceptive practice, is to be treated as an unfair trade practice. He put forth that an aggrieved consumer can approach any of the consumer forums established under the Act against an trade practice adopted by any trader or service provider or the services hired or availed of, suffered from deficiency in any respect. The minister added that a consumer can also complain if a trader or service provider, as the case may be, has charged for the goods or for the services a price in excess of the price (a) fixed by or under any law for the time being enforce, (b) displayed on the goods or any package containing such goods, (c) displayed on the price list exhibited by him or under any law for the time being in force or (d) agreed between the parties.